Does anyone else deal with the "winter blues" when it starts snowing and getting cold and the days start getting shorter? I'm really bad about it. I get so down in the dumps with short and incredibly cold winter days. So I have to do little things that keep me bubbly and smiling. One of them is wearing colorful, bold clothing! 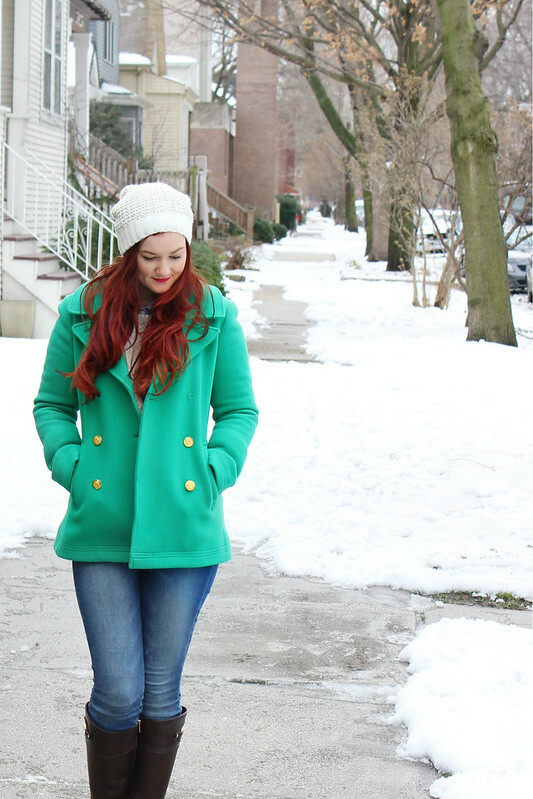 Everything becomes one boring color in the winter, so I like to stand out and pop against the snow. 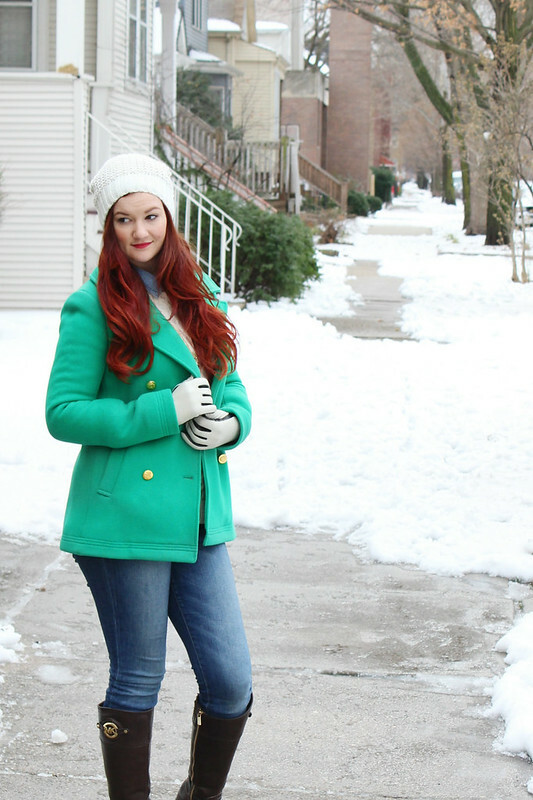 One really easy way to do this is a colorful statement coat. 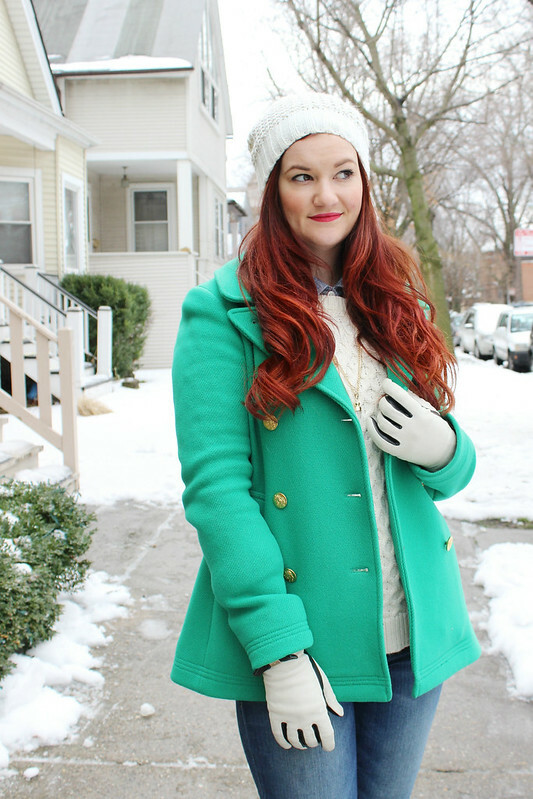 JCrew doesn't sell this exact color anymore, but they have so many amazing bright and bold colors to choose from. It's like they get my need to "pop!" Those who know me well know that I collect coats the way that most girls collect handbags or shoes. Good thing I moved somewhere cold, huh? All those vibrant coats never made much sense living in Texas. At least I have somewhere to wear them now. For the rest of the look, I wanted to keep it really cozy. 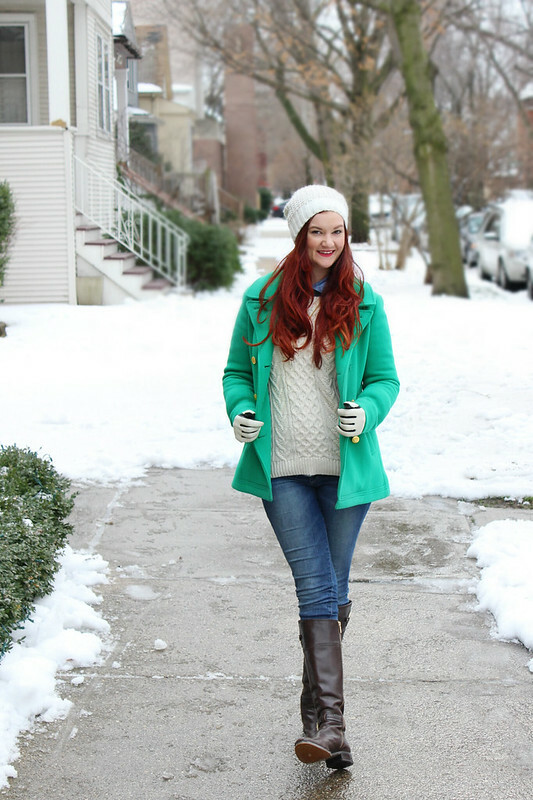 A woven white beanie and cable knit sweater keep things really snuggly and natural. It helps make my jacket pop even more. Staying warm is really important here so I wanted to have extra layers. A classic chambray button up underneath my cable knit keeps the outfit looking fresh and preppy. 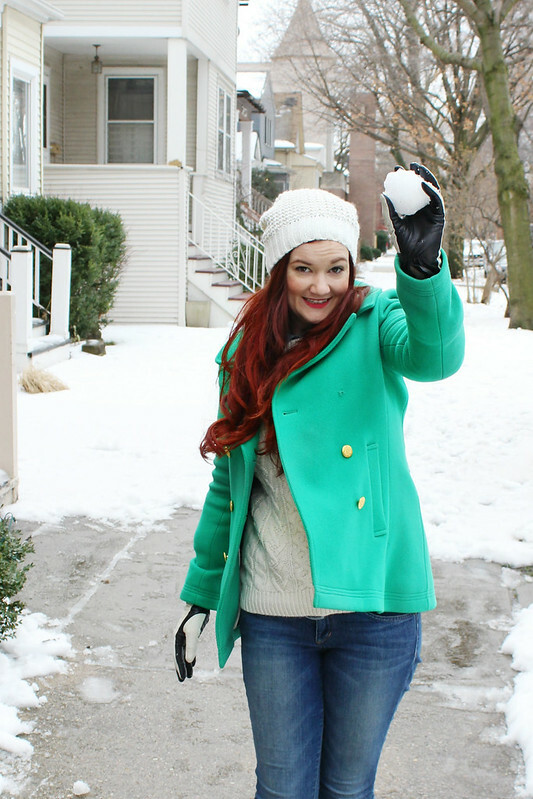 Maybe we should all just go out and have a crazy fun snowball fight! Whether you are trying to stay peppy with a colorful accent or hurling balls of snow at each other, fighting the winter blues is incredibly important. How do you fight the winter blues?